Finding a yoga mat you love can be a daunting task. Your mat needs depend on your yoga practice. 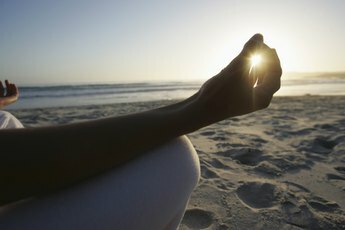 As you deepen your yoga practice, your body and mind start to show it. Unfortunately, so does your mat, but not in a good way. Many mats wear out over the course of a year of dedicated practice. Other mats may hold up under the pressure of your practice, but exude toxic chemicals that you can breathe. As writer and yogini Cynthia Morris says, the last thing you want to do when you step on your mat is to create harm. On the other hand, the last thing you want to think about during your practice is a mat wrinkling, bunching and sliding during the postures. To complicate matters, many quality yoga mats are expensive and can be cost-prohibitive for the average working yoga practitioner. Finding the best non-slip yoga mat can be an experience fraught with ethical decision making and cost-analysis calculations. When selecting the best non-slip yoga mat for your practice, read reviews and ask experienced practitioners what has worked for them. Some yoga studios even have mats you can try before you purchase one. Considering the mat’s stickiness, sustainability, durability, and price can help you narrow the search for the best non-slip yoga mat. Although many yoga teachers generally refer to all yoga mats as “sticky mats,” a non-slip yoga mat doesn’t necessarily have to be sticky. Some people prefer practicing on a highly absorbent yoga towel or a Mysore practice rug spread out on top of a yoga mat. Both rely on texture and a little bit of moisture so the fabric can adhere to the floor or mat and prevent slipping during practice. Many eco-friendly mats, like Manduka or Prana mats, incorporate some kind of texturing in the mat material to create a non-slip surface. PVC mats, or mats that contain polyvinyl chloride, are typically super sticky. Some companies, including Jade Yoga and Barefoot Yoga, use materials that are naturally non-slip like rubber or natural jute. For many yoga practitioners, the selection of a non-slip yoga mat is impacted not by sticky material alone but also by the manufacturing process. Morris describes the health hazards associated with PVC mats, including disruption of hormones and cancer. These factors not only threaten your well-being but also the health of our environment. 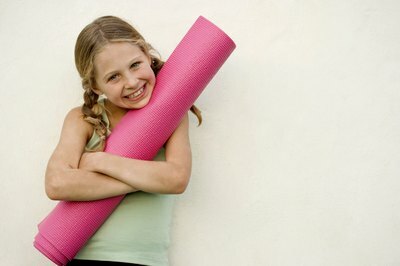 If environmental sustainability impacts your decision, then consider eco-friendly yoga mats. Look for non-PVC mats that are made of naturally non-slip materials. Many companies proudly announce the materials and production practices used to make the mats in their marketing strategies and packaging. If you’re wondering about purchasing a yoga mat, then you’re ready to make a commitment to the practice of yoga and you will need a mat that is ready for your commitment. If you practice more than three times a week, it won't be unusual for your yoga mat to begin to wear, tear and even flake. If you’re going to spend the money, why not spend money on a product that can keep up with your level of intensity? When it comes to durability, Manduka mats have several things going for them. Manduka mats offer several thicknesses to choose from, so you’re less likely to wear through them and more likely to feel comfortable bearing any weight on your knees. Manduka clearly describes the lifetime guarantee that comes with some of the company’s mats. However, this kind of durability may not be important to you unless you regularly practice a more vigorous, sweat-inducing style of yoga. With so many mats to choose from and with so many pros and cons to consider, it’s easy to get lost in the analysis of the mat and forget the impact of the purchase on your pocketbook. Your circumstances really determine your mat needs, from the intensity of your practice to flexibility of your budget. Before purchasing your mat, consider whether you would prefer to spend money on other aspects of your yoga practice, such as quality classes. Keep in mind that some yoga mats will wear out quickly, and you may find yourself purchasing a new mat each year. Investing in high quality can pay off. As "Time" writer Sean Gregory suggests, Manduka’s durability and lifetime guarantee may mean that you can "save some money in the long run." Stay grounded and make a decision that is honest while considering the character of your yoga practice and your financial needs. Before shopping for yoga mats, determine how much of your resources in the form of time, money and energy you are prepared to invest. What Is High Tack for a Yoga Mat?